A short distance from Castel del Piano in nearby Montenero d’Orcia, this museum captures the wine culture that has defined this region for millennia. It is divided into two sections. 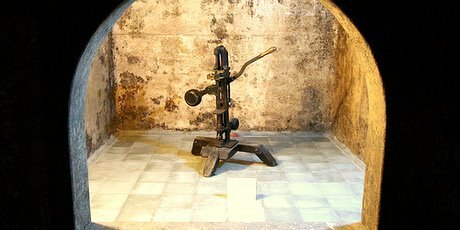 The first takes you through the production phases of wine making and displays ancient tools used for viticulture and vinification, including a 17th century oak press found in nearby Petricci with all its original levers and gratings still intact. The second part of the museum focuses on wine tasting, and provides a very colourful and detailed rundown on the two products that define Monte Amiata – the chestnut and olive oil. The museum is perfect for an afternoon away from the sun or cold, exploring the roots of two activities that are very close to the Tuscans’ hearts – eating and drinking!